One of my hobbies is photography, in particular digitally processed photography and in particular panoramic photography. I used to shoot on film, scan and work with the scanned images. Now I use the Canon 40D digital camera and others. What lens for my digital SLR? -- the most common question of buyers of cameras like the Canon 10D. What digital camera(s) should I buy? -- for those who haven't picked their camera yet. Some 35mm shots today's digital cameras can't do -- an older article from when I still shot on film. Notes on my picture-viewer that lets you set the download size for my images. Panoramic Photo pages Over 100 high resolution sweeping panoramic photos. Several good enough that people actually buy 'em! My Best Panoramas A selection of choice panoramas. Australia October 2005 tour of Australia. Death Valley Wildflowers in 2005 The greatest in 50 years, plus also Antelope Valley poppies and Carrizo Plain National Monument. China and the Yangtse River 2 weeks in China in Spring 2002 with a cruise up the doomed Yangtse through the Three Gorges. Nevada, Utah, Arizona, Colorada Photo Essay from trip after Burning Man 1999. Japan Tour including pictures of the 2001 Leonid Meteor Storm. Grand Canyon, Lake Powell, Rainbow Bridge, Monument Valley Photo essay. South African Politics My commentary on the politics of South Africa, plus 7 safari photos. Total Solar Eclipse Prelminary shots from the 1999 eclipse on the Black Sea. Oregon Trip in 2000 up the Cascades and down the coast. 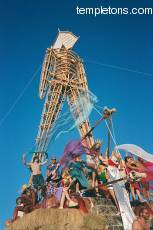 For a complete index visit my master Burning Man page. 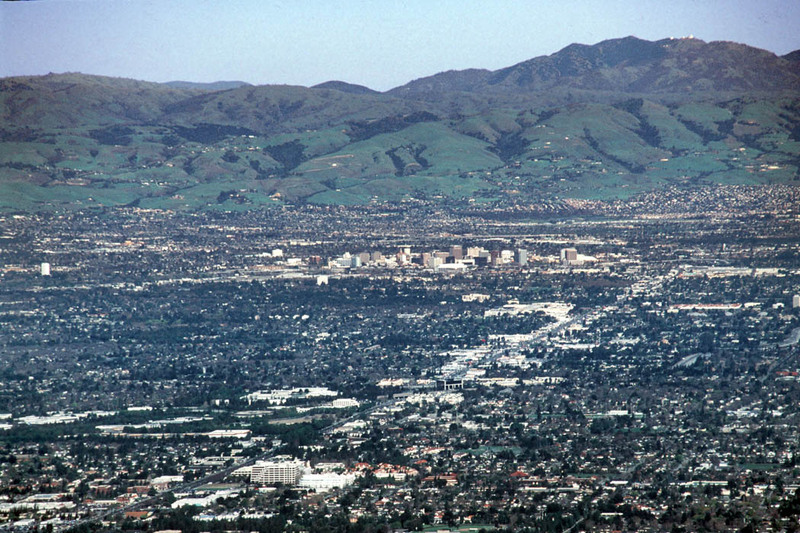 What San Jose would look like if there were no pollution. The Darth-Darth Binks page with other graphics. You can find out how to licence my images.